Three members of the sgCarMart Editorial team go on a mission to find the perfect engine oil for their individual driving styles. Most of us usually heed the advice of our mechanics when they recommend a specific engine oil but do we really know what we're putting into our engines? Choosing the right engine oil is dependent on a variety of factors such as the type of car you drive, your driving style and, of course, your budget. Three members of the sgCarMart Editorial team with completely different driving styles set out on a mission to find the perfect engine oil for their individual driving needs. But first, let's meet our drivers. Julian spends his weekends carving corners, overtaking road hoggers and heads up to Sepang every chance he gets. This trackie drives a 2007 Honda Civic Type R and demands only the best in terms of performance. To him, love is when VTEC kicks in and life only starts at 6,000rpm. He also believes that anything without three pedals belongs in the scrapyard. Nigel wants the best of both worlds. He doesn't need all-out performance but neither does he want low quality swill. This regular in-betweener drives a 2011 Volkswagen Golf GTI Mk6 and strongly believes that a GTI is all you'll ever need. He says the GTI strikes the perfect balance between performance and everyday usage, dubbing it a 'pocket rocket for the sensible man'. As far as we know, Fai is the only person who specifically looks for PARF cars nearing the end of their lifespan. 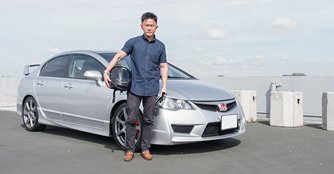 He says he wants to drive as many of these cars as possible before their first COE cycle ends and as such, is looking for something affordable that doesn't compromise on quality. Frugal Fai drives a 2008 Mitsubishi Colt Ralliart Version-R (not for long) and is always on the lookout for good deals on the sgCarMart Used Cars section. Julian, Nigel and Fai converge at Volks - Nigel's go-to workshop for maintenance and performance upgrades. 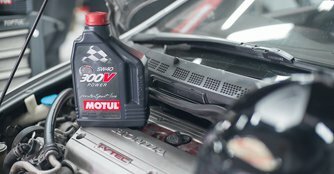 They get in touch with Motul, a leader in the oil industry with a track record of producing engine oils ranging from the very best in performance to more affordable and economical ones. 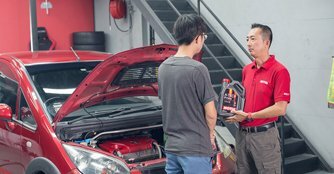 After a brief chat, Motul makes its professional recommendations for the specific engine oil each driver should use and explains why. Since Julian only has eyes for the best of the best, Motul suggests the 300V. 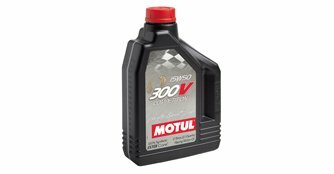 Sitting at the top of the Motul range, the 300V has been designed to withstand the high demands of motorsport and is perfect for drivers in search of a high-performance engine oil. Exclusively used for the 300V Motorsport Line, Motul's Ester Core technology guarantees maximum performance and reliability above existing standards. The 8100 is right up Nigel's alley. It is a mid-range engine oil that has been formulated to work at its best with European cars. Designed to improve power and responsiveness, the 8100 provides reinforced anti-wear protection and ensures a longer lifespan of parts of the engine. It also offers optimal engine protection even in extreme driving conditions and allows for longer intervals between oil changes. Fai was advised to go with the H-Tech, a more affordable range that works well with Japanese cars. H-Tech is designed for use in both turbocharged and naturally aspirated petrol engines and has been formulated with high-performance additives to provide enhanced protection against oxidation. H-Tech also prevents oil thickening and sludge formation, provides smooth engine starting under cold conditions and improves fuel economy. After finding the right engine oils for their driving styles, Julian, Nigel and Fai hang back to clarify some burning questions they have regarding engine oils. What do numbers like 5W30 and 5W40 mean? These are viscosity grades. The 'W' stands for winter, the number before it represents the engine oil's low temperature viscosity while the number after stands for high temperature viscosity. The lower the number in front, the quicker the oil will flow. This means a lower value like '5' will allow the oil to circulate the engine more quickly than a number like '10'. The higher the summer grade viscosity, the greater the loads the oil can take at high temperatures. This means a number like '40' is able to handle a higher temperatures than a '30'. The closer these numbers are to each other, the more stable an engine oil becomes. A more stable oil means more consistent engine oil performance over a longer period of time. For example, endurance race cars typically use engine oil viscosities of 15W50 and 20W60, instead of the everyday use 5W30 and 5W40. Does this mean you should go out and get a 15W50? No, there's no need for that. The 5W40 would suffice for Singapore's tropical climate. '40', a thicker viscosity, is more suited for warmer climates like ours while '30' allows for faster engine oil lubrication in colder climates such as Japan or Europe. Make-specific engine oils are specially formulated to meet the criteria set by car manufacturers while universal engine oils are designed to be compatible with several makes and models. This depends entirely on the standards and approvals for each engine oil as every carmaker has different requirements. For example, Mercedes-Benz has always prioritised sludge control and oxidation thickening in its make-specific engine oils. The main difference between using a make-specific engine oil over a universal one is that you get more out of it. A universal engine oil will provide sufficient lubrication and engine protection but a make-specific one will offer additional properties such as sludge control and oxidation thickening. Compared to mineral engine oils, synthetic oils are more stable when it comes to better heat resistance and lubrication. Thanks to high-performance additives, synthetic oils provide more uniformity, which translates to more consistent low and high temperature performance. This is attributed to a strong bonding between molecules within the oil, which are better able to hold onto each other and withstand extreme temperatures. It is always a good idea to go for a synthetic engine oil over a mineral one in order to get the best out of your vehicle. What do you get when you buy from an Authorised Distributor? Purchasing an engine oil from a Parallel Importer (PI) may save you a couple of bucks. 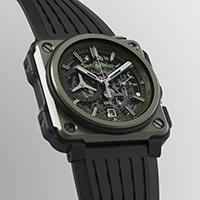 However, you won't be getting the benefits, which come with buying from an Authorised Distributor (AD). ADs offer perks like exclusive tickets to MotoGP and passes to regional events organised by High-Tech Lubricants AP Pte Ltd. 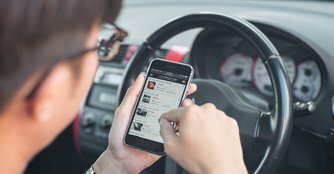 They also reward loyal Motul customers with merchandise and other gifts through Motul's upcoming loyalty programme, which is slated to be launched soon. 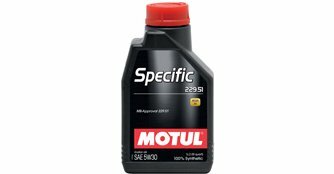 More importantly, purchasing from an AD comes with the guarantee that whatever engine oil you buy is genuine and comes directly from Motul. 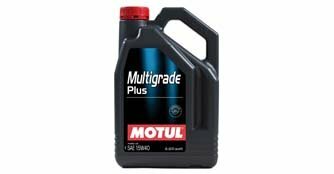 Some PIs do sell original Motul products but the only way to truly know if an engine oil is genuine is to buy from an AD.